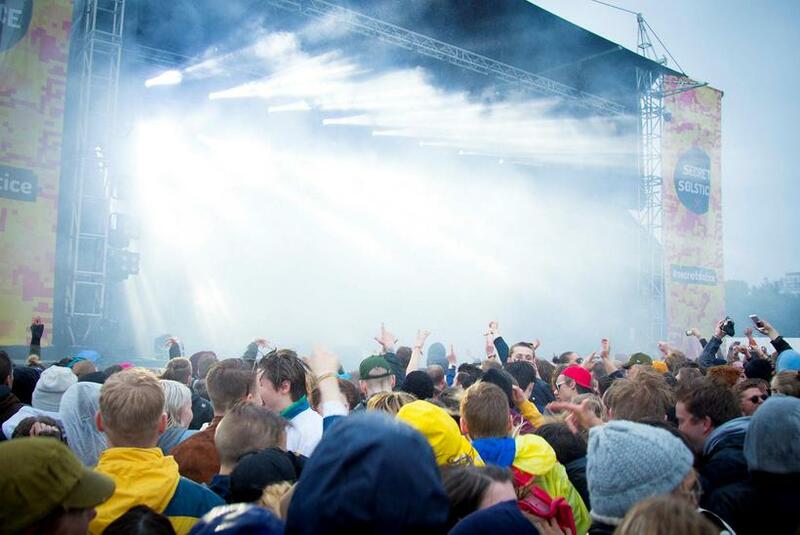 There are plenty of outdoor festivals in Iceland, and somehow Secret Solstice managed to secure its place on the top of hip outdoor festival list from the beginning four years ago. I had heard about it before but this was my first year attending, and it was everything I expected and more. The festival area was a pleasant surprise. It was beautiful. The area is divided by trees (not something you see every day in Iceland), and it was well organised. Even though the festival was almost sold out, there was plenty of room for everyone. The lines to the food stands, the toilets and getting into the area were never too long, and it didn’t really matter if you stood at the edge of the crowd before the stage or in front of it, the sound was great and the view was decent. 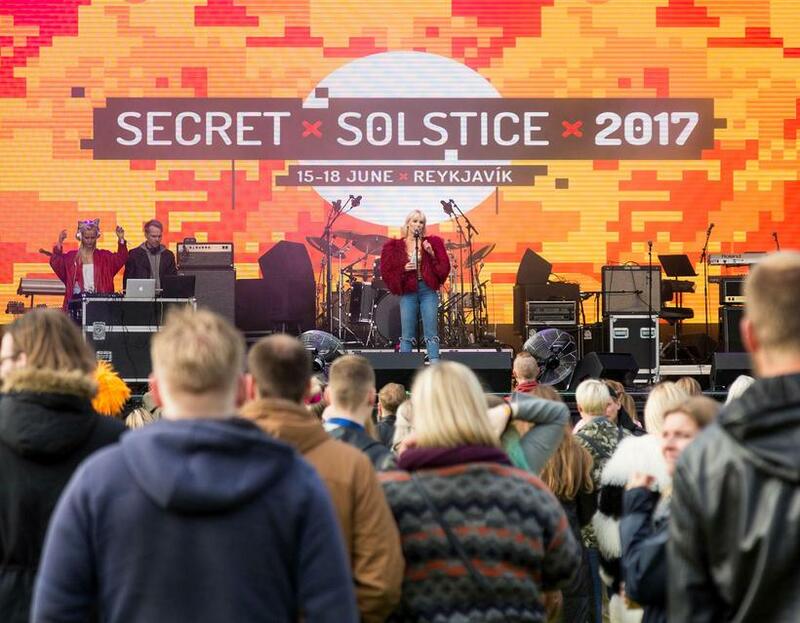 Secret Solstice takes place from Thursday to Sunday at a weekend close to the summer solstice, and it doesn’t get dark in Reykjavik during that time. If you’ve never experienced a midnight sun let me tell you it gives a certain boost. The sun is up, so you feel like you must be as well. This is felt by every Icelander, the nation is much more energetic and manage to do much more during a day in summer than in winter. It’s a perfect time and place for a music festival. 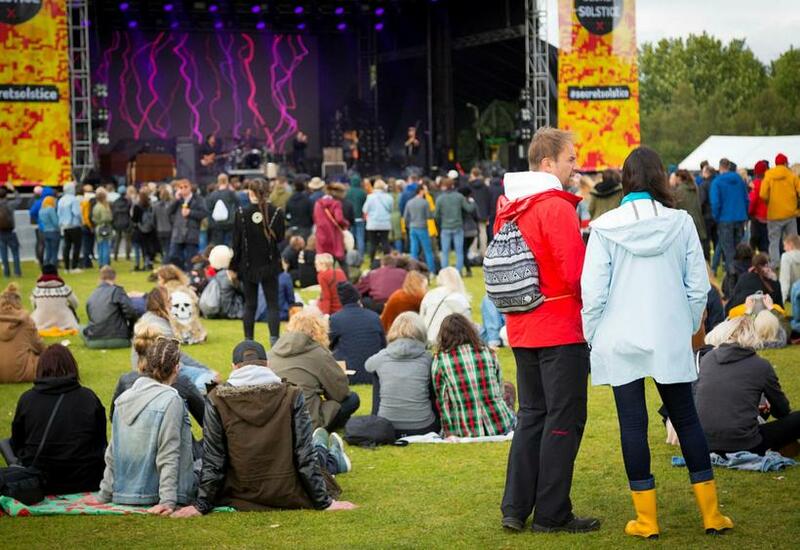 The festival is located in Laugardalur, a 10-15 minute walk to Reykjavik city centre. There’s no campsite inside the festival area. 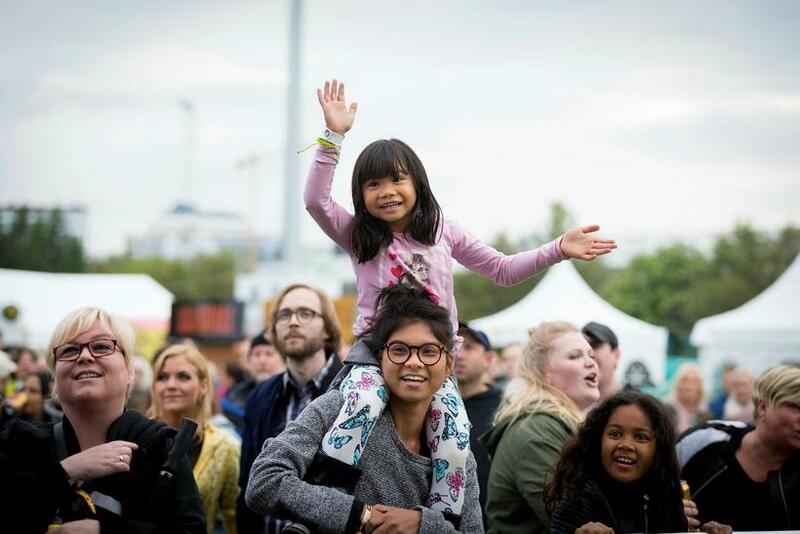 At midnight when most of the concerts end, festival attendants who are not ready to quit for the night either go to the techno stage Hel for the next hours, or downtown for a taste of Reykjavik nightlife. The downside is that you can’t bring alcohol into the festival area, you’ll have to buy it on site. This isn't too bad when you’re going to one concert on a regular Saturday night, but staying at a festival for hours, buying food and drink for an entire weekend as well as going downtown might be a strain on the purse. But hey. How many times are you going to go to a music festival where the sun shines on you night and day? Another downside was that some of the stages were so close together you could here the noise of a hip hop tempo as an undertone to a sweet, melodic folk concert. It almost went together, but not quite. On Thursday only the big stage Valhöll was open, and Hel with more of a techno music, at opposite ends of the festival area. The line-up was impressive for a more relaxed first day of the festival. Big Icelandic bands, and the final number was Chaka Khan. The only fault was that there was always a 30-40 minute wait between the numbers, most of which took around the same time. This meant almost half of the night was spent waiting for someone to step onstage. It's a great time to catch up with people or if you know someone there, or to get to know someone, but I missed the music in the background. This was not something that I that bothered me the rest of the festival, with so many stage this made sure people rotated around the festival area. The food was great! 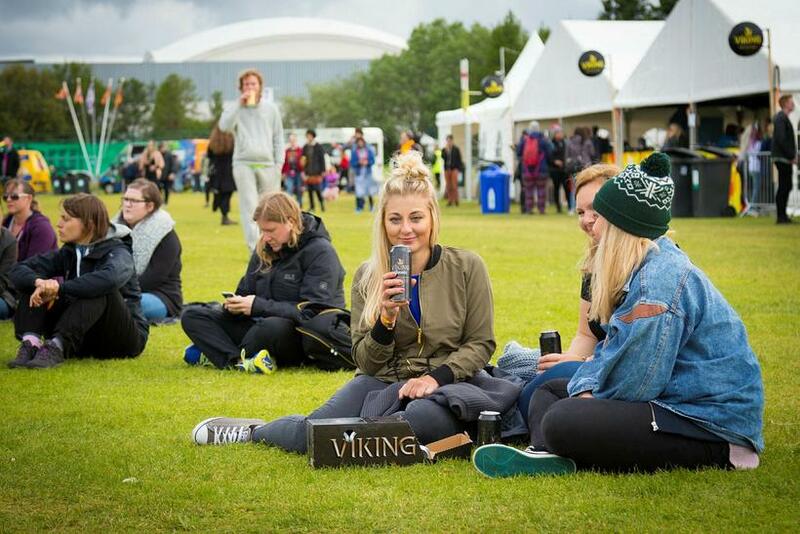 Never have I been to an event in Iceland with such varied options when it comes to food. There was something for everyone, tacos, chicken wings, vegan and vegetarian dishes, burgers, hot dogs and even sushi! And it was good! Food allergies are not common in Iceland. I suspect signs at almost every stand with declarations on how the staff could answer all questions regarding ingredients in the food was an idea that came from the festival organizers. Well played Secret Solstice, well played. I was impressed how varied the music was. There were the main numbers, Prodigy, Foo Fighters and Chaka Khan. There were also bands that have been very big in Iceland for decades, and nowhere else. There was a hip Icelandic reggae band, cult punk/rock band, a band from Kenya which is impossible to describe the style of, Icelandic folk music and a great variety of rap bands and beautiful rock music. Not to mention the techno stage. 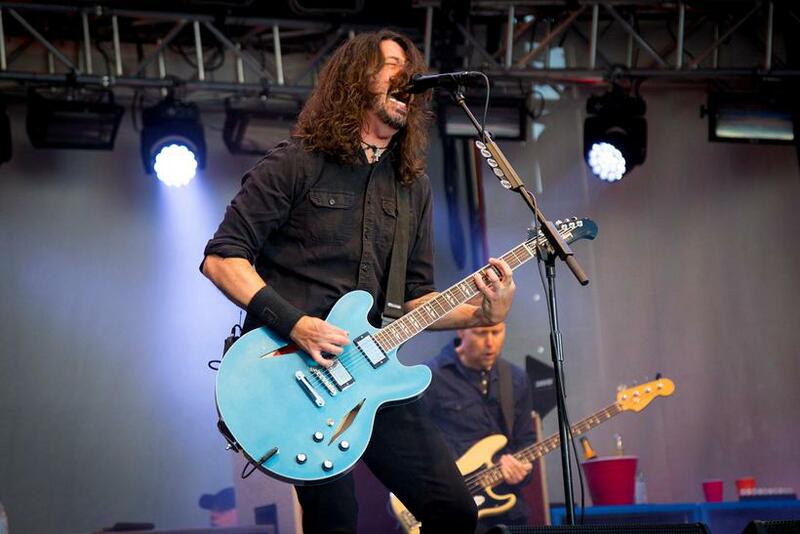 My absolute favourite was Foo Fighters. My opinion is perhaps coloured by the fact I've been a fan for years. They played most of their old hits, along with new songs. Some of which they were performing on stage for the very first time. In addition to that, Dave Grohl’s eight year old daughter stepped on stage and played We Will Rock You with Queen in the middle of the concert. How cute is that? I wondered if Prodigy knew anything about where they were going before the concert. They had an impressive light show, and were extremely lucky that it was raining heavily. The drops were small, almost mist, and that’s the only reason all the show could be seen as the sun was obviously still up. The music was great, the performance were lively and at no other time did I see as many people gathered in front of the big stage. There was noise, hopping and headbanging... everything you want from a concert like this. I’m not going to describe every other concert I saw. It would make for a very long article. Here are some of my highlights. Agent Fresco - A band that’s great in a small Reykjavik club isn’t always great on a grand outdoor stage. Agent Fresco was even better. Ata Kak - All the way from Ghana, this was without a doubt the strangest number I saw this festival. Good or bad, I don’t really know. I found them on Youtube and will let you be the judge of that. Ragnheiður Gröndal - In my humble opinion, Raghneiður Gröndal is one of Iceland’s most accomplished singers. Her beautiful voice was in the forefront at this calm, easy going Sunday concert. With a hint of hip hop from the next tent. Var - The music seems to be inspired by famous Icelandic band Sigur Rós. Slow, melodic, and a strange but beautiful singing. Extremely lively on stage for an early Sunday performance. 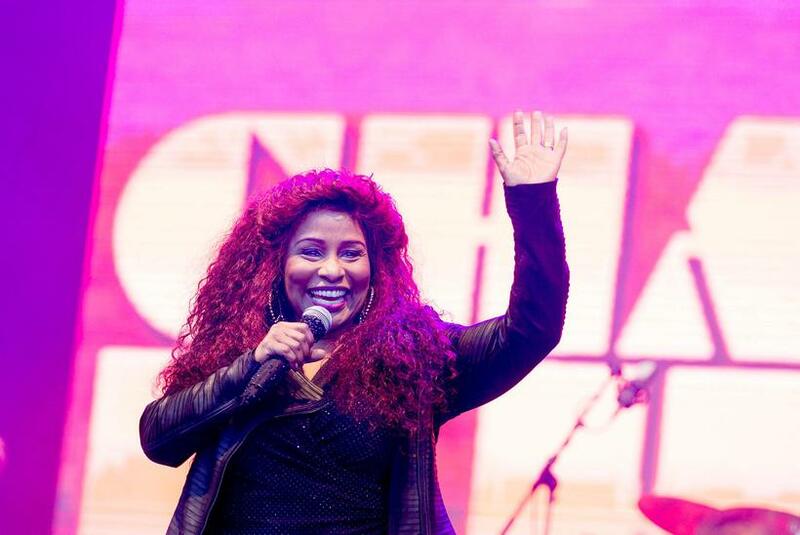 Chaka Khan - This woman can hold a high note longer than anyone I’ve ever heard, and most of her songs had a number of them. What a singer! Doesn’t hurt that she did extra long versions of her hit songs I’m Every Woman and Ain’t Nobody in the end.